They say a good book changes you, and I am not the same after reading The Guernsey Literary and Potato Peel Pie Society. This wonderfully lyrical book captures the essence of life and love in the most delightfully refreshing format–old-fashioned, hand-written letters. Mary Ann Shaffer and Annie Barrows crafted a stunningly beautiful love letter to literature and the power of books to feed the human spirit. As a lover of historical fiction, this book was immediately dear to me. I have a distinct nostalgia for historical fiction, particularly that which is set in England. I suppose this has a lot to do with the fact that I am a hopeless Anglophile. I was prepared to enjoy the book, but what I was not prepared for was to be so captivated and enchanted with the characters to the point that I truly felt they were dear friends of mine. I found myself laughing out loud at their witty exchanges (followed by smirks from my boyfriend), crying along with them at their heartaches, and sighing with satisfaction at their triumphs. This was my first experience reading a book in letters (which I have recently learned is called an epistolary novel) and now I am desperate to find another one. The honesty and informality of that type of exchange brought to life the exquisiteness of human relationships. I was charmed by the budding relationships between the heroine, Juliet, and each of the members of the literary society. I too felt as though I was forming new bonds with strangers who would become friends. As I discovered the stories of each of these Guernsey residents, I felt them becoming more endeared to me with each letter. I felt myself discovering the beautiful isle of Guernsey with my witty and instantly lovable tour guide–Juliet, the vibrantly charismatic heroine of the story. The sand squidged between my toes, the cool salty water lapped around my ankles, and the gusty wind billowed through my hair as I explored Guernsey with Juliet. I was delighted as each of Juliet’s (and my) budding friendships bloomed like the verdant, supple shoots of spring. I was hopelessly won over by the precocious Kit, desperately intrigued by the mysterious Elizabeth, wonderfully charmed by the eccentric Isola, and stubbornly resistant, yet deliciously tempted by the rising inkling of romance with the stoic Dawsey. My eyes were also opened to a rich history that I had previously not known about–the German occupation of Guernsey. But the presentation of the humanity of that time is something not to be found in a textbook. This exquisite little book shares the impact of war on the human spirit, and the resilience of a community that banded together and clung on to their fragile happiness, faith, and hope by the threads of great literature. Words. Words had the power to sustain them. In the midst of the darkest of times–when their bodies were malnourished, their eyes bearing witness to horrors, their minds filled with worry and dread–their souls were well fed. All due to the inexplicable power of beautiful words. Books were the only things that gave the society members something to live for, something to find happiness and joy in, something to block out the dark inhumanity that surrounded them. During those unthinkable times when enemy forces pervaded, food was rapidly dwindling, children were sent away from their parents, and the imminent sense of despair hung over the island like a dark cloud–books were the things that they cleaved to to lift their sprits, to remind them of better times, of light and airiness, of hope. This intricate little society, haphazardly formed, blossomed into the most beautiful family. The bonds of literature that they shared developed into the bonds of friendship and powerful, true, and abiding love for one another. Literature that can transport you to another time and place accomplishes a stunning feat. 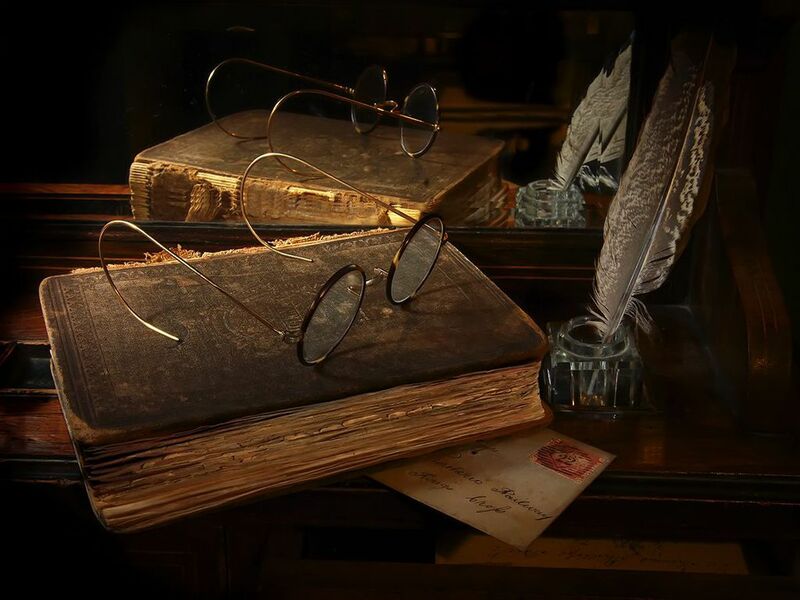 For words written on a page to have the power to blur the lines of reality surrounding you and make the fictional world more real to you is what every writer hopes for and what every reader craves. 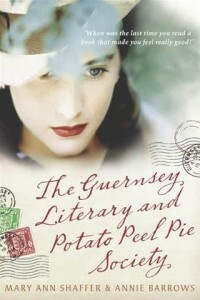 The Guernsey Literary and Potato Peel Pie Society unquestionably replaced my living room with the salty smell of sea air, the wartime uncertainty of an occupied island, and the faces of the literary society members valiantly clinging to one another and to the beauty of life within the pages of books. To breathe life into characters and settings so that they leap off the pages at readers is not a simple task, but one that Schaffer and Barrows masterfully achieved. A magnificent book for lovers of literature and of life. April 23, 2014 marked the 450th Anniversary of the birth of the immortal bard, William Shakespeare. In celebration and honor of this historic day, volunteers across the globe, myself included, handed out free books to light and non-readers. 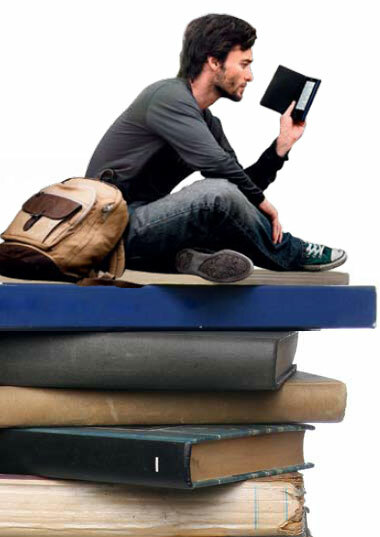 World Book Night, the organization behind the book giving, is founded on a mission to “spread the love of reading, person to person.” The goal is that each year, on the night of the birth of the most prolific and celebrated writer in the English language, the passion for reading is shared. As an avid reader and lover of literature, I felt compelled to be a part of this incredible evening. It all began when Carl Lennertz, Executive Director of World Book Night, came to speak at one of my NYU lectures. As soon as he had spoken of the premise of World Book Night I was hooked. I knew instantly that I had to be a part of this movement to inspire others to discover the joy of literature. I listened with rapt attention and glistening eyes as Carl spoke of an elderly recipient who had never owned a book prior to her World Book Night book. I couldn’t imagine never having owned a book. It was as if someone had knocked the wind out of me when I heard him say that. I was overwhelmed with emotion and with the conviction to be a giver. Hot tears streamed down my face, and I brushed them away as I walked up to meet the man behind the magical night. I gushed about how touched I was by his speech and about how ardently I hoped to be a giver in 2014. 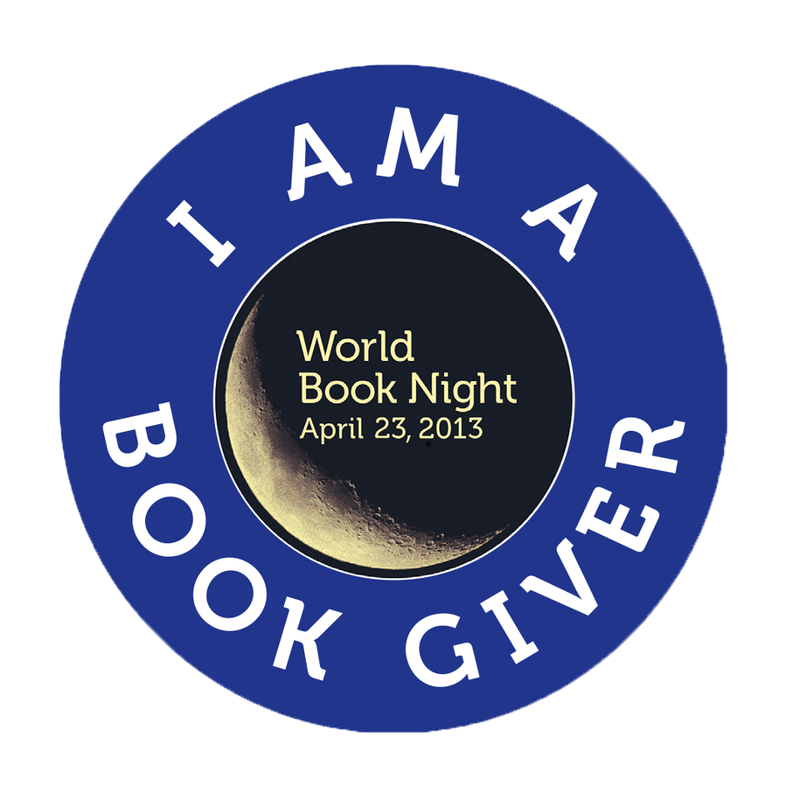 I got my wish, and was selected as a giver for this year’s historic World Book Night. I anxiously awaited April 23rd, carefully planned where I would distribute my books, and reflected on what I would say to the recipients. Yesterday, I printed flyers, recipient letters, bookmarks, and my name tag to designate me as an official book giver. I chose Front Steps Homeless Shelter to give out copies of the legendary Agatha Christie’s After the Funeral. I spoke passionately to the residents of the mission of World Book Night, of the anniversary of Shakespeare’s birth, and of the book I was sharing with them. I listened as they shared their thoughts on Agatha Christie and their excitement about reading her book. Willie is one of the residents that I had the pleasure of meeting and sharing After the Funeral with. He is part of Front Steps’ GED program and is their most enthusiastic student. 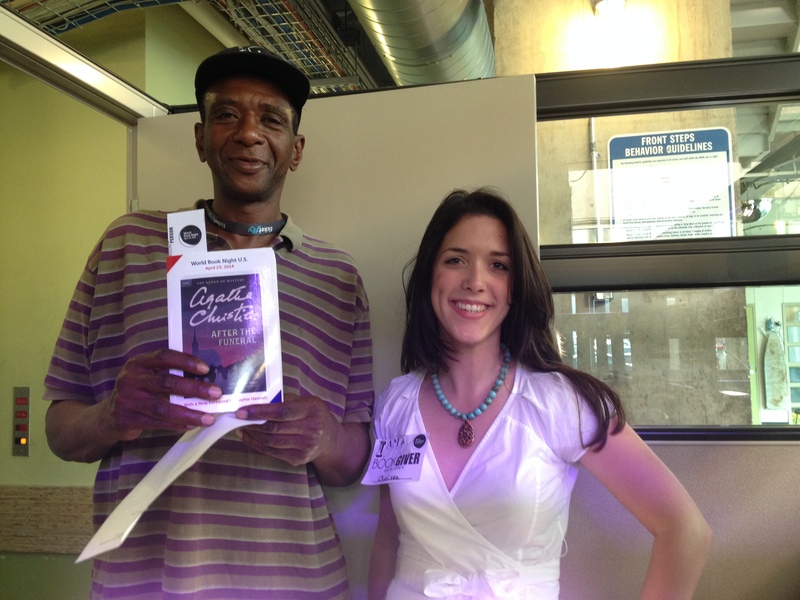 Willie accepted his book with eyes alight, and an eagerness that was almost tangible. I knew that I was sharing one of my favorite authors with a budding reader who would soon come to love her and many more authors with the earnest passion of a book lover. Books have the incredible ability to nurture the human spirit. It is my hope that Willie and everyone that I shared books with, who are currently enduring such hardships, will get lost in the pages of Christie’s fiction, be captivated by her charismatic characters, and get wrapped up in the weave of her mystery. As I handed out books, I beamed with joy at the knowledge that I was a part of facilitating Willie’s and the other recipients’ reading journey and hopefully sparking an inextinguishable and lifelong passion for reading. To be able to share the gift of reading with others is an earnest desire of mine as both a reader and a publishing professional. World Book Night gives volunteers across the world an avenue to channel their passion for books to inspire a new generation of readers. To the authors who waive their royalties, the publishers who fund the printing of special World Book Night editions of the books, the bookstores and libraries that volunteer to host givers, and to the staff at World Book Night–thank you for this glorious opportunity to bring books into the lives of those who have yet to discover how important they will become to them. The most curious little man to behold-slight in stature but imposing in manner, a comical egg-shaped head, impeccably groomed moustaches, spotless suits, tailored to perfection, and trademark shining patent leather shoes. I am of course referring to Agatha Christie’s master detective, the illustrious Hercule Poirot. He stole my heart from the moment I first watched David Suchet’s superb characterization of the iconic Belgian sleuth. I watched with delight at his endearing eccentricities and his astounding powers of deduction. I found myself chuckling at the comical exchanges between Poirot and his protégé, Arthur Hastings, and feeling perplexed at the seemingly unsolvable murders they set out to unravel together. Each episode enveloped me into the cozy and intriguing world of little grey cells, order and method. In watching these episodes I felt bursts of the sensory experience of reading, and then as a book lover, I decided that it was high time that I actually read Christie’s short stories and novels. I recently finished the first in a beautiful clothbound Folio Society edition of the Hercule Poirot short stories. The quaint little man, as Hastings so often refers to Poirot, is so eccentric in the particulars of his dress and his insistence on order and method that he immediately endears himself to the reader. One cannot help but be fascinated by the meticulous little Belgian with an impeccable eye for detail, in both fashion and murder. His reliance on his “little grey cells” to solve the most impossible cases baffles and infuriates the amateur Hastings and the gritty Inspector Japp. Though they may share moments of annoyance or lack of understanding for Poirot’s manner, it is always his discerning nature that manages to solve even the most unruly of cases. Each of Christie’s mysteries are tightly woven tales of intrigue, and only Poirot’s keen perception of the significance of seemingly insignificant details enables the villains to be caught. As I read each of the incredible scenarios that Poirot is called upon to investigate, I found myself marveling at Christie’s power of imagination and deduction. Her title as the “Queen of Mystery” is one no other author can hope to challenge. From quaint rural villages, to seaside towns, to the bustling metropolises of London and other cities on the Continent-Poirot’s sleuthing skills never falter. Christie brings the perfect blend of intrigue and danger, coupled with the levity of Poirot’s interactions with Hastings and Japp, and his endearing, albeit fastidious, mannerisms to each story. Strychnine poisoning, missing jewels, apparent suicides, and curses of ancient Egyptian pharaohs are just a few of the cases that Poirot brings his expertise to. All the while maintaining an appearance of the utmost elegance, this delightful dandy captures the hearts of readers with his eccentric demeanor and unfailing powers of deduction. 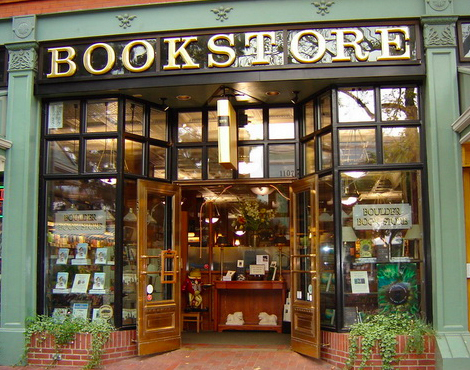 I recently had the pleasure of meeting an intriguing author at BookPeople, Austin’s favorite indie bookstore. Readers of my blog will know that meeting an author, for me, is a giddy experience that sends my emotions and writerly aspirations bubbling. 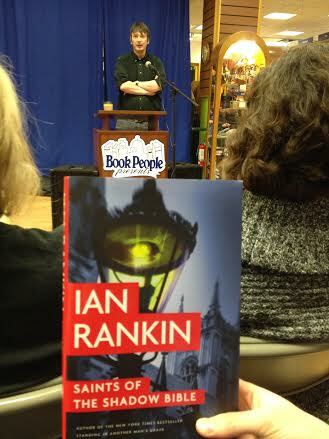 Last summer I learned of Ian Rankin, bestselling Scottish mystery author, known for his Inspector Rebus series, and I recently finished reading his latest triumph, Saints of the Shadow Bible. Detective Sergeant John Rebus was new to me, and as I was introduced to this maverick of the Scottish police force, I found myself eager to learn more. As a rule, I never start a series anywhere except the beginning. And yet, in this case I made an exception. I’d heard so much about Ian’s incredible talent for crime writing and the captivating character he’s created in John Rebus that I felt compelled to start at the end. Of course, the fact that Ian would be visiting BookPeople in January to discuss his latest book may have had more than a little to do with my decision. I was well rewarded in my decision to stray from my reading norm. From the moment I picked up the book I was entranced. Rankin’s ability to create a world and characters with such striking realism is what makes him one of the greats in mystery fiction. Having been to Edinburgh myself, I could envision myself trudging down the cold and dreary streets of Scotland’s capital city with the veteran detective. As I journeyed through the novel with Rebus, I found myself working to decipher both him and the intricate threads of connectivity being woven through the mystery. Following the plot is akin to meandering through the streets of Edinburgh, taking twists and turns into alleys and side streets, discovering unexpected establishments and beguiling characters along the way. All the while you’re keenly aware that there is a mystery to solve and subtle clues are all around. You are supposed to be stringing the pieces together. Connecting the yarn on your map of the city. Taking cue from Rebus’s Holmesian bloodhound instinct. And yet, you find yourself befuddled. Captivated by the charismatic (if rough around the edges) Rebus, frustrated by the methodical Fox, and intrigued by the murky history of the Saints of the Shadow Bible. Rebus recalls Doyle’s Sherlock and Christie’s Poirot, those icons of mystery whose skills of observation and detection emit a superhuman quality that mystifies and baffles those of us not gifted with their keen eye. Yet, he still maintains those quirks and flaws that make him unquestionably human, and relatable. Rankin is a master storyteller with a gift for drawing characters of such complexity and undeniable realism, that the reader cannot help but feel adamant that they in fact could be found sitting in the local CID in Edinburgh. He writes of his home in Edinburgh, as only can one intimately acquainted with her. The cobblestone streets, the historic churches and castle, striking architecture and landscape all pulse with life. The city and all its secret dealings, the mingling of the political parties with less than reputable characters, and the police’s bid to get a handle on it all strike a chord with the reader as interactions not far removed from reality. Add to that the thread of upheaval currently pervading the political climate in Scotland, and Rankin’s Edinburgh bursts will intrigue, mystery, life, and believability. I am, without a doubt, now a part of the Rebus following and have a lot of catching up to do on the history of the saints, the seedy underbelly of police work in Edinburgh CID, and the evolution of one of the most captivating detectives in contemporary mystery fiction.